Brilliant. Wonderful breakdown of all the species starting at the first primate and ending with H. sapiens. Part 1 is a nice refresh of paleo 101 and describes major fossil sites throughout the world. Part 2 has many chapters, each a small review of an ancestor from yore. Part 3 sums up the fossil evidence from part 2 with other avenues of inquiry such as behavior and locomotion, basically other aspects of human evolution to study besides the fossil record. This is a brilliant book, feels like an incredibly readable textbook. Excellent color, detailed photographs. It was intriguing for someone with a background knowledge in the area but I don't think it will be too much for the casual reader or general evolution enthusiast. 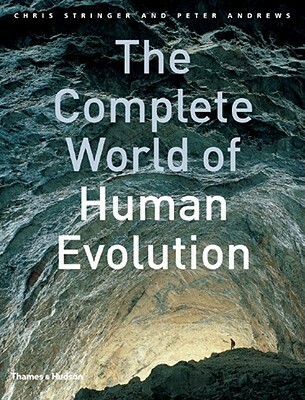 One of the strongest recent books on human evolution for students and non-experts like me. I was surprised to see the multiple ancestry theory given so much credence, i.e., that modern humans are descended from homo erectus in different regions of the earth, because of facial features in the fossil record when erectus roamed the earth that are similar to modern races. Every DNA study seems to show that the out of Africa model stands firm and that modern humans evolved from homo erectus or homo ergaster in Africa or from homo heidelbergensis then left to colonize and displace other species. The facial differences could be adaptations later repeated in the specialization of homo sapiens to different regions. They do say that the multiple origins theory is a minority view. Creo que fué el mejor libro para introducirse sobre el tema que hubo en su día, y quizás hoy aún lo es. Está llena de datos muy bien explicados, apoyados en fotos, dibujos y esquemas y trata de tocar todos los temas para que queden pocas dudas. Pasa que al ser de 2005 no incluye descubrimientos posteriores como el Denisovano o la teoría de la hibridación con otras tres especies (neanderthal, denisovano y otra aún por dilucidar)en estudios del ADN mitocondrial. I am a layman to this topic. Though some Amazon reviews point out that the book is not detail enough, I do feel content on the information it provides.Scientists spent so many man-hours in searching the origin of human being; on the other hand, some sacred text said woman was made by a bone. Which one is more creditable? You have your own answer, but I am fully respected the hardworking of scientists. For those who just turn pages and speak what is written - hardly respectable. We had this book for a class. I ended up reading the whole book a few days before the exam. Evolution is real and this book was very helpful in giving a clear explanation of what evolution really is and how it has worked. If you interested in human evolution, this is for you. Full of amazing illustrations, the book covers millions of years up to our nearest ancestors. The last section has a significant warning about climate change. Nice graphics, very up-to-date. I didn't like the organization scheme, though - and I think it would have been hard to follow if you didn't already know something about the subject. Simple but decent overview with lots of fairly helpful pictures and charts. A concise covering of the important finds and their associated flaws in the fossil collections. As always, stringer is brilliant as is Andrews. A neat review of human evolution- great refresher. Bit of a long slog. Does go into a lot of detail. Probably more for the serious reader. It is relatively user friendly in that the information is given in smallish sections and it is quite pictorial. Chris Stringer PeterAndrews - Professor Christopher Brian Stringer, Fellow of the Royal Society currently works at the National History Museum, London, as research leader in human origins.